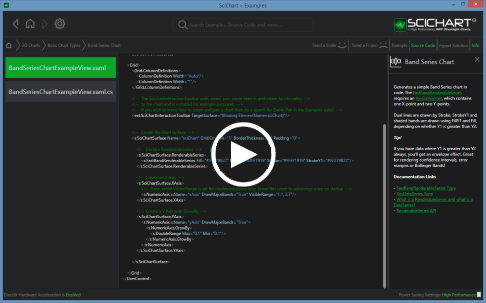 Demonstrates how to use MVVM to databind a SciChart RenderableSeries declared in XAML to a DataSeries declared in a ViewModel. This example uses a single line chart, with View and ViewModel and shows how to bind SciChart to a data-source and append new data using the MVVM pattern. The C#/WPF source code for the WPF Chart Bind to Data MVVM example is included below (Scroll down! ).